Welcome to the world of skiing and snowboarding – ok you’re a novice but there is plenty of information to help you along your way. Obviously you need ski equipment and there are specialised shops to help you, plus don’t forget your ski wear it won’t be cheap but once you are kitted out you just need to find the ideal ski resort. Everybody has to start somewhere and there is nowhere better to learn than in the delightful Alpine town of Les Gets. Les Gets is an extremely popular ski resort, in the Haute-Savoie region of South East France, situated on the western edge of the huge ski area of the Portes du Soleil. It offers panoramic views of the Mont Blanc massif, and is nestled in a tranquil green valley with beautiful views of the surrounding snow-clad hills in this gem of a ski resort. It is typically Savoyard, retaining its mountain village feel, with traditional stone and wood chalets. A bustling and lively centre where plenty of family-friendly restaurants, cafes and bars can be found, this really is one of the best locations that appeals to everyone. It is a charming traditional ski resort brimming with character and with 625km of ski area it’s a super choice to start here. There is a good range of gentle slopes ideal for the beginner and excellent ski schools who will teach you all you need to know. The ski schools meets everyone’s needs from the beginner to all levels including intermediate, advanced and experienced. 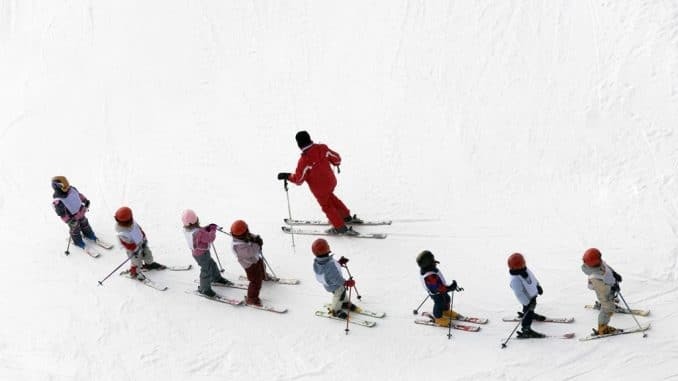 This is also a good ski resort to teach children to ski, don’t worry its not all about learning to ski, there is a lot of fun packed in to the lessons and lets be honest who doesn’t love to play in the snow! Les Gets has different ski terrain and as you progress and your ski skills improve you keep testing yourself and that doesn’t stop. Even the best skiers in the world keep striving to improve their ski skills, pushing themselves all the time, it gives them that perfect adrenalin rush and they cannot get enough. To start with you will go on the nursery slopes which are not too steep to the top so it eases you gently into your new sport. The nursery slopes also offer all the basics you need to begin skiing and once you do you will find yourself returning time and time again. Les Gets is just 1 hour away from Geneva International Airport (GVA) so flying from your home country should be simple as most international flights arrive in Geneva. Once you have conquered the nursery slopes you will move on to the beginner slopes and Les Gets has ten easy slopes called the blue runs. These runs have a number of different options and terrain which means you get to see different scenery whilst your learning and they will take your breath away. This is where Les Gets comes in to its own as most resorts don’t have the same variety of beginner slopes and learners can get bored. As you learn and your ski skills improve you can still visit the resort as it has various pistes and different levels of ski runs. Maybe you want to introduce your friends and family to skiing it’s a wonderful sport combined with a holiday. Before you know it you will be on the black and off piste ski runs which are for the advanced level skier. Once you start you won’t be able to stop and you will count the days to the start of ski season.